ended up teaching at Harvard Law School? Consumer Financial Protection Bureau—and won. As a child in small-town Oklahoma, Elizabeth Warren yearned to go to college and then become an elementary school teacher—an ambitious goal, given her family's modest means. Early marriage and motherhood seemed to put even that dream out of reach, but fifteen years later she was a distinguished law professor with a deep understanding of why people go bankrupt. Then came the phone call that changed her life: could she come to Washington DC to help advise Congress on rewriting the bankruptcy laws? Thus began an impolite education into the bare-knuckled, often dysfunctional ways of Washington. She fought for better bankruptcy laws for ten years and lost. She tried to hold the federal government accountable during the financial crisis but became a target of the big banks. She came up with the idea for a new agency designed to protect consumers from predatory bankers and was denied the opportunity to run it. Finally, at age 62, she decided to run for elective office and won the most competitive—and watched—Senate race in the country. 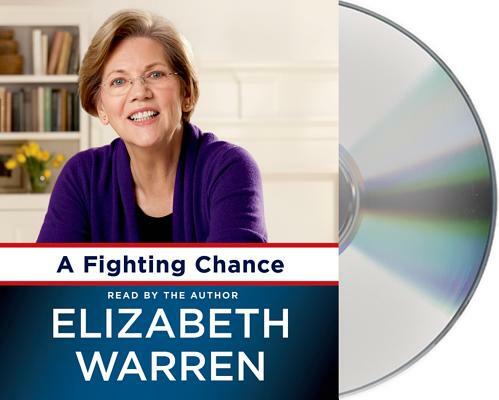 In this passionate, funny, rabble-rousing audiobook, Warren shows why she has chosen to fight tooth and nail for the middle class—and why she has become a hero to all those who believe that America's government can and must do better for working families. Elizabeth Warren is the senior U.S. Senator from Massachusetts. A former Harvard Law School professor, she is the author of several books, including A Fighting Chance, a national bestseller that received widespread critical acclaim. One of nation’s most influential progressives, she has long been a champion of working families and the middle class. The mother of two and grandmother of three, she lives in Cambridge, Massachusetts, with her husband, Bruce Mann.